The Slavonic god Svantovit evokes holiness and wisdom. His four heads facing north, south, east and west contain all of the knowledge that he has amassed to rule the four corners of the earth. 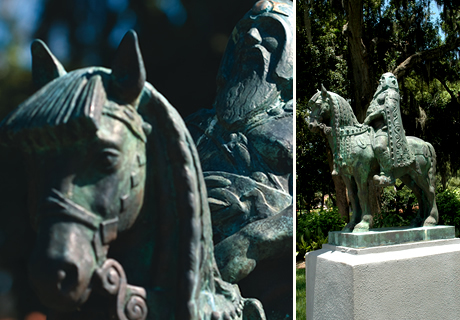 Svantovit sits astride his horse, carrying a sword for justice and a horn through which he utters prophesies.